Nothing about Virginia McCray Musselman’s life is accidental. At birth, she was given the name “Virginia,” which means “pure of heart,” a quality her parents hoped would always characterize her. From an early age Virginia had a longing to serve the Lord and would ply her father, a minister ordained in the Presbyterian church, with questions about Jesus and salvation. Her father reminded her often that God had a special plan for her life. In her teens, Virginia’s faith grew and she actively sought to discern the plans God had for her. Upon her eighteenth birthday she spent several days apart in prayer and study as she pondered what path the Lord might have for her to take next. A verse in the book of Isaiah captured her attention: “I am the Lord; I have called you in righteousness; I have taken you by the hand and kept you; I have given you as a covenant to the people, a light to the nations…” 42:6. She sensed that this verse, although originally intended for the people of Judah, was also a word to her from the Lord, to assure her of two essential points – that He had set her apart for a special purpose and He would lead her step by step. Years later, as she looked back on that time spent in prayer, Virginia realized that God was teaching her how to listen for His voice and to trust Him – both of which are essential for a life in ministry. She returns to this verse often, and as God’s plan for her life continues to unfold, she trusts that the Lord will guide her, as if holding her by the hand, to whatever He has in store for her next. Virginia is the eldest of eight children, all of whom were home schooled. As she was finishing her high school studies she applied to do short-term mission work in Romania, through Bill Gothard’s foreign mission agency. Her father worked for Bill Gothard and Romania was a country Virginia’s parents loved and prayed for, so when Virginia learned that there was an opening for a teen to serve in Romania, she was eager to apply. She was accepted and served for two years – three months each school semester, with a furlough at home in Arkansas during the summer months. When an opportunity arose for a family to serve in missions in Romania, Virginia and her parents and siblings all went together. They spent the next three years there in family ministry. Virginia worked with Romanian teens using a curriculum developed by Gothard’s Institute of Basic Life Studies which offered lessons in character development. Although the government prohibited evangelism in the classroom, the mission teams sought to develop relationships with the students so that they could share their faith with the students outside the classroom. After five years of missions work in Romania, Virginia returned to the States and pursued an undergraduate degree in English from Thomas Edison State College in Trenton, New Jersey. After graduation, and unsure of what to do next, she decided to move to North Carolina along with her cousin, who had been accepted into a graduate program at the University of North Carolina at Chapel Hill. It was not long before Virginia found employment as a first grade teacher’s assistant at a Christian school. 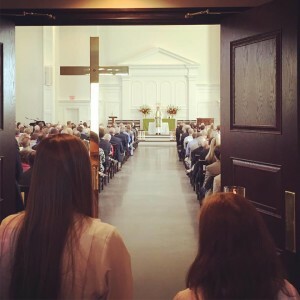 After visiting a few churches in the area, Virginia and her cousin accepted a friend’s invitation to worship nearby at All Saints Anglican Church – and once they did, they felt drawn to return, Sunday after Sunday. Virginia quickly discovered that Anglicanism afforded her the most authentic expression of her faith in Jesus Christ and within a year she was a confirmed member of All Saints. She continued working as a teacher’s assistant for several more years, but eventually realized that although she loved the children she worked with, it was in interactions with adults – parents and colleagues – where she felt she was truly ministering. It became increasingly clear to Virginia that she needed to make a decision about her future: either seek to be certified as a teacher or find a way to return to evangelistic ministry, which she loved and missed. About this time Bishop Steve Breedlove, who was the Rector of All Saints, encouraged Virginia to consider prayerfully ordination to the diaconate. 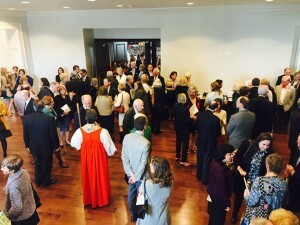 The process of discerning a call to ordained ministry was both exciting and unsettling for Virginia because even though she sensed the Lord’s hand in Bishop Breedlove’s invitation, she knew her parents would not be able to support her if she reached the conclusion she was called to the diaconate. They still belonged to the denomination in which she was raised – one in which women were not ordained or allowed to teach or preach in the presence of men. In time and after much prayer, Virginia reached the same conclusion as that of the discernment committee at All Saints with whom she was working – that the Lord was calling her to ordination to the diaconate. The endorsement she received from the committee and from Bishop Breedlove was wholehearted and unanimous. Although she hated to disappoint her parents, she also knew she was obeying God’s call on her life – something her parents had raised her to do. Eventually Virginia’s parents were able to support her decision and her family travelled to North Carolina to attend her ordination. During this time and following her ordination, Virginia participated in a program designed by Bishop Breedlove for men and women entering ordained ministry called, Anglican Missional Pastor. After she completed that program she decided she wanted to further her education in ministry so with Bishop Breedlove’s blessing she enrolled in the Masters of Divinity program through Regent University in Virginia Beach. For the first eighteen months of the program Virginia resided in Virginia Beach and served as a deacon at Christ the Redeemer Anglican Church in Norfolk. She had met the rector of Redeemer, Brian Campbell, through the Anglican Missional Pastor program so when she moved to Virginia Beach Brian invited her to serve as a deacon at his church. Little did she know that she would meet her future husband at this church. 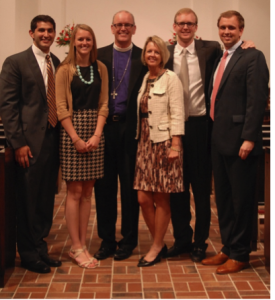 On the first Sunday of Advent in 2012, several months after Virginia began her studies at Regent, John Musselman was in town visiting his parents. John lived and worked in Raleigh, where he was a member of the Church of the Apostles. However, whenever he was in Norfolk John would worship at Redeemer – and he knew Brian, and his wife, Janis, well. In fact, Janis was eager to introduce John to Virginia. So on that Sunday morning, just before the service began, Janis made a point of introducing John to Virginia. However, there was no time to talk afterward, so John contacted Virginia after he returned to Raleigh. Each had been praying for some time to the Lord about finding the right spouse – someone who was a biblically-grounded and deeply committed Christian – and within a matter of months John and Virginia knew that the Lord had answered their prayers by bringing them together. One year later, they were married and Virginia moved back to Raleigh and completed her degree online. Virginia graduated in 2015 and was chosen by the seminary faculty to receive the “Outstanding Graduate” award – a distinction granted each year to one graduating student, based upon academic excellence and Christian character. She had begun her seminary studies unsure of her ability to do well and of her future role in the church but the Lord affirmed her desire for more education and His call on her life through the encouragement and respect she was afforded by her teachers and fellow students. They saw how the Lord was using her mightily for ministry – and eventually she, too, began to sense that her call from God was beyond what she had previously envisioned – the she was being called to serve as a priest. Her husband, John, agrees wholeheartedly. Virginia now serves as a deacon at Church of the Holy Cross in Raleigh and has entered into a discernment process in the Diocese of the Carolinas for ordination to the priesthood. Although she could not have envisioned this path for her life when she was a teenager, the words the Lord spoke to her at that time through the prophet Isaiah continue to encourage her and call her forward. The Rev. Claudia Greggs is the Clergy Associate for Pastoral Care at Holy Trinity Church in Raleigh. “For nothing will be impossible with God.” These words from the first chapter of the gospel of Luke have great meaning for the people of Holy Trinity Church in Raleigh, North Carolina. For more than eleven years the members of this congregation have witnessed God doing the impossible on their behalf – and on November 8, 2015 they celebrated the Lord’s faithfulness with great excitement and joy as their new church facility was dedicated by Bishop Steve Wood. 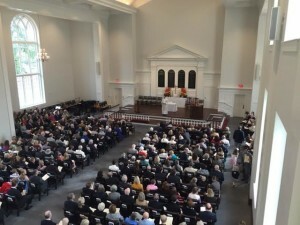 Holy Trinity Church was officially launched in September 2004; however, the groundwork was laid the previous year when a small group of people, from several Episcopal churches in Raleigh, began meeting for prayer. They sought direction from the Lord about how to respond to the lack of moral clarity and respect for the authority of Scripture which characterized their denomination. Prayer was the obvious first step to take. “We are a church that began on our knees,” recalls Martha Underwood, in whose home the group began to meet for prayer. By January 2004 the Lord’s answer to their prayers was evident – they had organized themselves as All Saints Fellowship, and drawing upon relationships developed over the years with Trinity School for Ministry and other evangelical organizations, they launched a twelve-week Sunday evening preaching series featuring noted Anglican preachers from across the United States. These services attracted people from the greater Raleigh area who were eager for theologically sound preaching and teaching. By late spring, this small group of prayerful people had grown remarkably in size. Discerning God’s call to form a church “founded on creedal orthodoxy, biblical preaching, and traditional worship” they joined the Anglican Communion Network, formed a vestry, adopted parish by-laws and officially launched as Holy Trinity Church on September 12, 2004. The Rev. Dr. Peter C. Moore, Dean Emeritus of Trinity School for Ministry was the preacher. 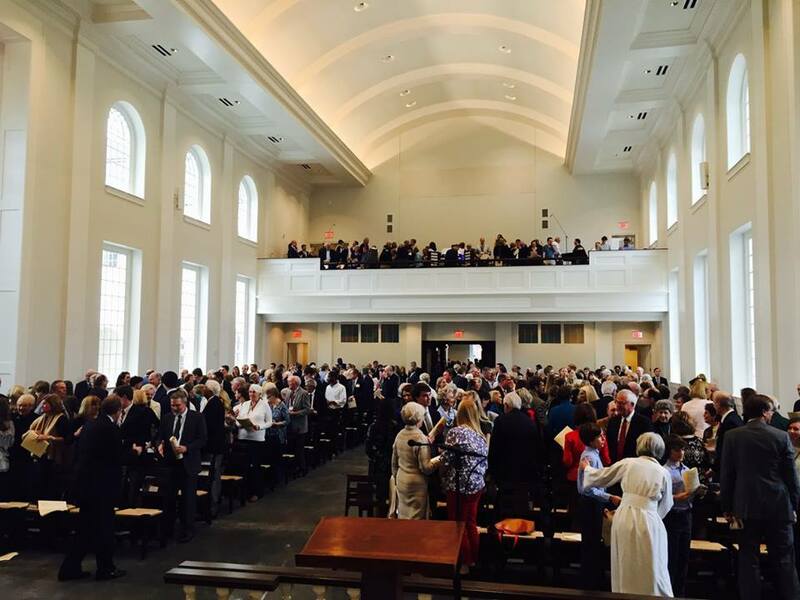 The congregation met for Sunday morning worship in the chapel of St. David’s School, a private Christian school located in midtown Raleigh. The chapel had also been the site for the evening preaching series the winter before and afforded the growing congregation a beautiful space in which to worship, one that would serve them well for the next eleven years. Until a rector could be called, the Rev. Don Roberts, St. David’s chaplain, presided at Sunday morning services. Meanwhile, the day-to-day operations of the church, and much of the pastoral ministry, was done by members who were eager to serve and contribute to the life of the church. Local clergy also helped out, as needed. At every turn, the Lord provided for this congregation. 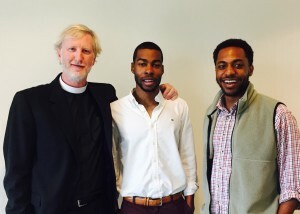 Within the next year, the vestry of Holy Trinity Church extended an invitation to the Rev. 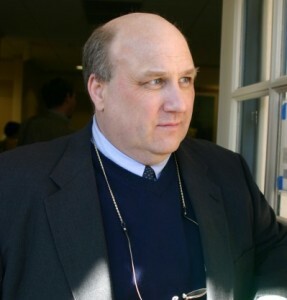 Dr. Michael Green, a renowned Anglican evangelist based in England, and the Rev. David Drake, a recent graduate of Trinity School for Ministry, to become co-rectors. They accepted and began their terms of service in August of 2005. The congregation continued to grow and a search was launched to find a suitable plot of land upon which to build a church. The search for that land would continue for the next five years as various sites were considered. 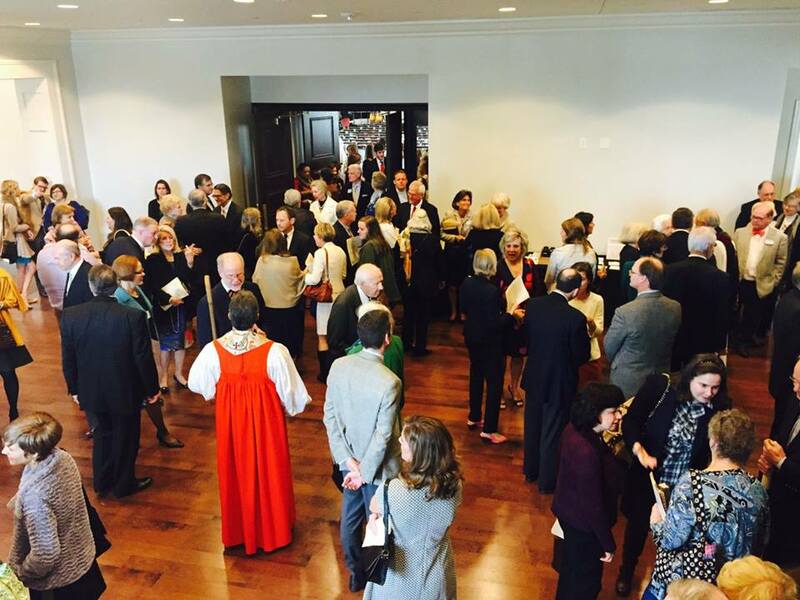 The vestry felt a call to build near or in the downtown area of Raleigh, close to government offices, several universities, and a growing arts community and business sector. However, cost was a factor, as well as location, so although over fifty properties were considered, none of them in the target area afforded the amount of space needed at a reasonable price. But then something occurred which changed all that: the effects of the “great recession” of 2007 began to influence the real estate market in Raleigh – and the Lord would use these circumstances to do the impossible, again. A property became available in late 2009 at the corner of Peace and Blount Streets – a location on the cusp of downtown Raleigh. It had been originally intended for commercial use, however, due to the recession, the owners were eager to sell it off. After prayerful deliberation, the vestry of Holy Trinity made an offer on the property, which included a dilapidated Victorian house. Their offer was accepted and a capital campaign was begun. Despite the somber economic forecast at that time, it was successful! 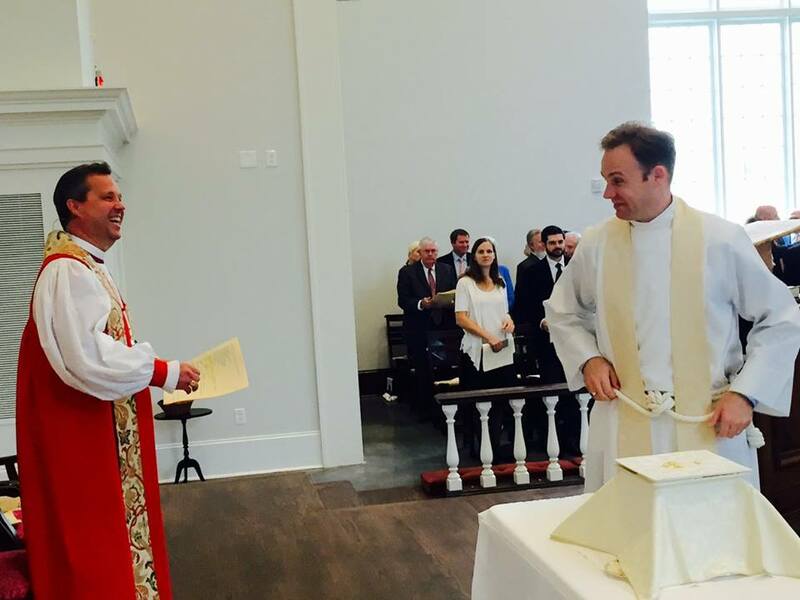 Soon after, David Drake accepted a call to serve as rector of a newly planted Anglican church in Baltimore. Since Michael Green and his wife, Rosemary, had returned to England the year before, a search was launched in early 2010 to find a new rector for Holy Trinity Church. Once again, the Lord provided in a time of need and the Rev. Ger Jones, who had been hired the previous year as associate rector, served as interim until a new rector could be found. On the sixth anniversary of their launch, the Rev. Dr. John Yates, III presided at his first service as rector of Holy Trinity Church. Under Dr. Yates’ leadership an architectural firm in Raleigh, LS3P, with roots in South Carolina, was chosen to come up with a design for the new church. Working closely with Dr. Yates and a committee of church members, the firm developed a stunning plan for a beautiful, airy church, with a soaring ceiling, which would look as though it had been on that plot of land for many decades. The presence of the Holy Spirit throughout the design process was evident and the plan was enthusiastically endorsed. Ground was broken in May of 2014. In the meantime, ministry partnerships were launched with non-profit Christian organizations serving those in need in the downtown area and the Victorian house was restored to beautiful effect to serve as offices for the growing church staff. Prayer teams, which had been praying over the site since its purchase, continued their ministry of prayer all throughout the construction phase. By God’s grace, there were no construction delays, or accidents, and everything was completed on time. Holy Trinity became the first new church built in downtown Raleigh in over fifty years. 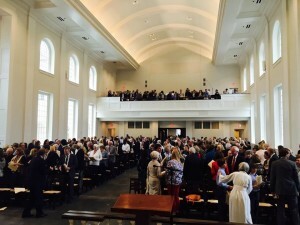 The first service in the new building on Peace Street was held on September 13, 2015. An overflow crowd of 650 was in attendance! Although construction is over and the move is completed, the church’s narrative has only just begun. Positioned right across from William Peace University, around the corner from many government offices and in the midst of many new businesses, apartment complexes, and an established, vibrant neighborhood, Holy Trinity Church has many exciting opportunities for evangelism and service in God’s name before them – and a number are already underway. Yet, in the midst of change, growth and new ministries in the heart of the city there is one thing that remains constant: The church that began on its knees knows that nothing is impossible for God! 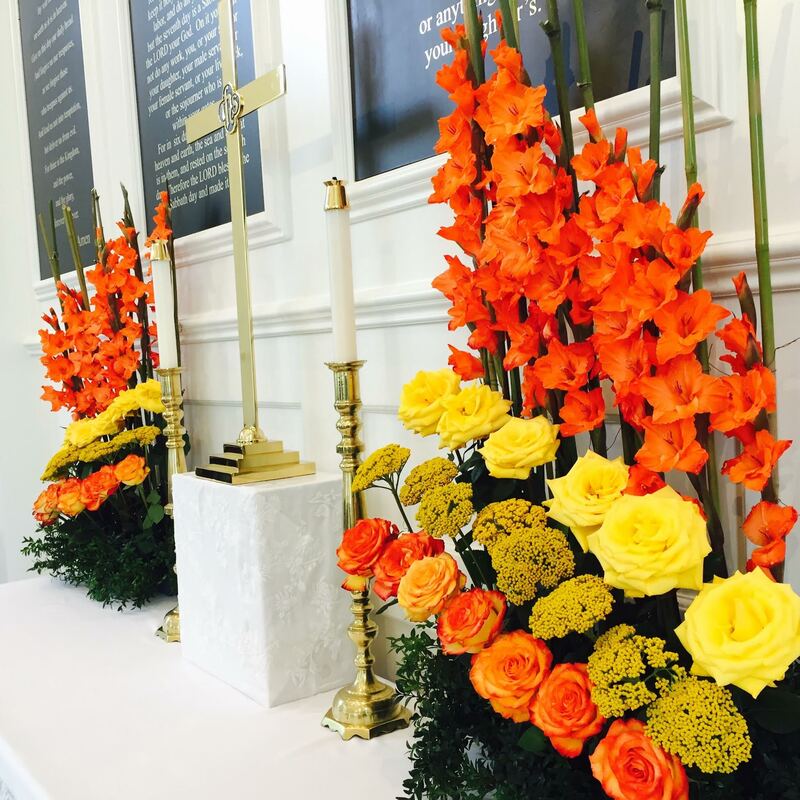 Grace and gratitude play a central role in the Rev. Dr. Ashley Null’s life and work. Ashley is an authority on the English Reformation – particularly the theology of Thomas Cranmer, who was the author of the first Book of Common Prayer and the Archbishop of Canterbury during the reigns of King Henry VIII and Edward VI. Ashley also serves as a senior research fellow for the Ridley Institute and a theological consultant to the Diocese of the Carolinas, most recently giving a series of thought-provoking lectures to the clergy of the diocese. In those lectures, Ashley talked about how Cranmer’s understanding of God’s grace and mercy shaped the Communion service he composed for the first English Prayer Books (or the 1552 Book of Common Prayer). After two years serving in parish ministry at Grace Church in New York City, where he ordained to the priesthood by Bishop Fitz Allison, Ashley returned to Yale to pursue a Masters in Sacred Theology degree (STM) with a focus on the theology of repentance from an Anglican perspective. He was particularly interested in the Anglican Reformers’ notion that God’s alluring grace, offered unconditionally to fallen men and women, is what leads them to repentance – not a fear of damnation, which was a tactic used by the medieval church. This belief in the transformative power of grace was bedrock for Ashley, and it continues to occupy his thoughts and inspire his writing and teaching to this day. Although he hoped to build upon his work at Yale by pursing an advanced degree, his bishop had other plans for him. Upon completion of his STM, Ashley was called back to Kansas to serve as interim rector of a troubled church in a little town called Liberal. Since pastoral ministry was something Ashley enjoyed immensely, both he and the church thrived during his tenure as their rector. After two years, however, he was faced with a difficult decision. His best chance at paying for a PhD was winning a Fulbright scholarship to England which in those days required an applicant to be under the age of 30. To resume his studies would mean leaving far too early a parish he had come to love. In the end, Ashley left the decision up to the award committee. When he was notified that he had been selected, he left parish ministry to study Cranmer at Cambridge University in England. Since receiving his PhD from Cambridge, Ashley has authored several publications, including Thomas Cranmer’s Doctrine of Repentance: Renewing the Power to Love (Oxford 2000). He is now in the process of editing the private theological notebooks of Thomas Cranmer, which will be published in a five-volume series by Oxford University Press. Ashley also holds a research post funded by the German Research Council at Humboldt University of Berlin, which is preparing for the 500th anniversary celebration in 2017 of the beginning of the German Reformation. In addition, he is a visiting fellow of the Divinity Faculty of Cambridge University and St. John’s College, Durham University. And in March of this year, Ashley was installed as a Canon Theologian of St. Mark’s Pro-Cathedral in Alexandria, Egypt. Much of Ashley’s time is taken up with writing, research and teaching; yet he also continues to exercise a pastoral ministry. He has served over the years as a chaplain in educational institutions as well as in the sports arena. These days, he ministers to some most outstanding athletes and coaches, sharing the Reformation’s message of unmerited grace and humble gratitude with men who are highly performance-driven and widely acclaimed for their skills and talent. Ashley has also served three times as an Olympic Chaplain, most recently in London for the 2012 Summer Olympics. In addition, he is the author of a book for athletes about the power of God’s freely-offered grace entitled, Real Joy: Freedom to be Your Best (Haennsler 2004). We are truly blessed in the diocese of the Carolinas to be able to benefit from Ashley’s scholarship and humble reflections about Thomas Cranmer, the Anglican Reformation and the alluring grace of God. The clergy of the diocese eagerly await our next opportunity to hear him speak. Claudia Greggs is the Clergy Associate for Pastoral Care at Holy Trinity Church in Raleigh, NC.